This book has restricted territorial rights. To order from outside the U.S. and Canada, contact Guilford for information. This influential book challenges one of the most pervasive and powerful beliefs of our time—that Europe rose to modernity and world dominance due to unique qualities of race, environment, culture, mind, or spirit, and that progress for the rest of the world resulted from the diffusion of European civilization. 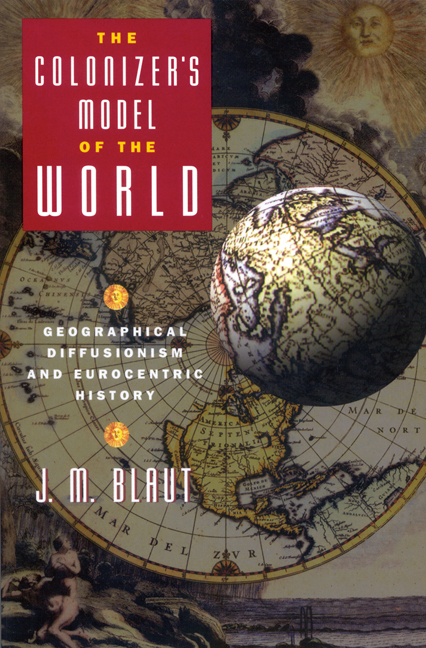 J. M. Blaut persuasively argues that this doctrine is not grounded in the facts of history and geography, but in the ideology of colonialism. Blaut traces the colonizer's model of the world from its 16th-century origins to its present form in theories of economic development, modernization, and new world order.